Across Caiston Glen lies Little Hart Crag and the ridge descending to High Hartsop Dodd. Beyond that is the ridge from Hart Crag to Hartsop above How. 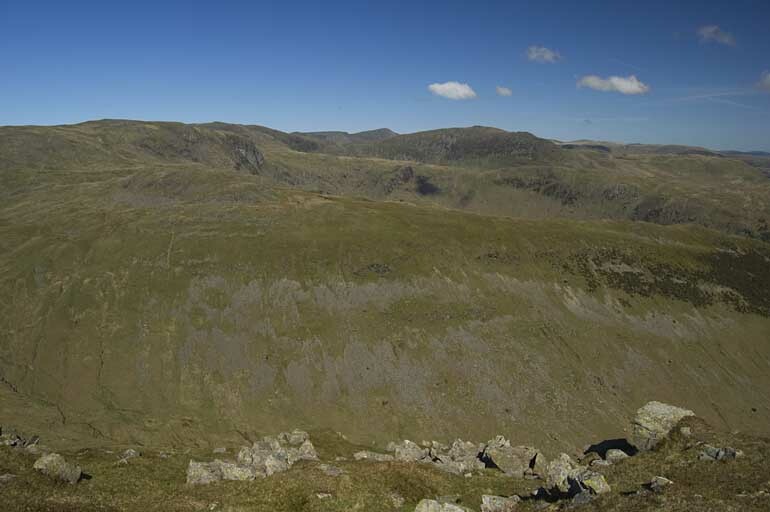 on the horizon are, from the left, Dove Crag, Hart Crag, the sharp peak of High Crag, Nethermost Pike, Helvellyn, St. Sunday Crag, Great Dodd, Greenside and Hartside, Bowscale Fell and Souther Fell. Smaller version of this picture.